Looks like you had plenty of fun and Jasmine seems to be enjoying her bowl of fruits! Enjoy! I want some of those deviled crab!! Yum!!!!! 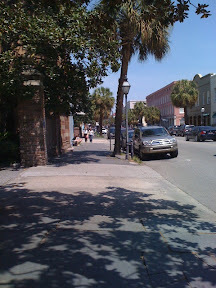 I've been to Charleston several times, and it's a nice city. It's one of my hubby's favorite places. Awesome trip! It looks like you got the full southern comfort treatment. Look like you had a lot of fun in this trip, good for you! How charming! 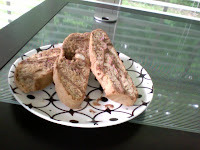 I have been reading about Southern food, sounds really interesting! lovely place..n hope u enjoyed .. 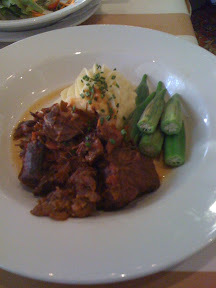 Beef shank with okra looks really great! The place seems quite nice. We love Charleston. It has such old southern charm. 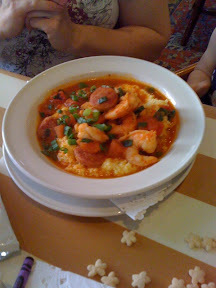 It's the best place in the world to eat shrimp and grits. I'm sure the homemade sausage had to put it over the top. Sadly but true, so many seafood places in the south fry most everything. You made an excellent choice with the shrimp you ordered. 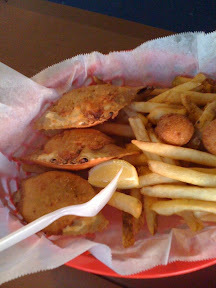 I've heard that the locals still love their seafood fried. Until that changes, I guess nothing will. 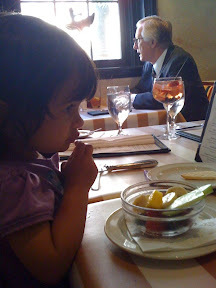 I'm impressed that the restaurant brought fruit for the kids. 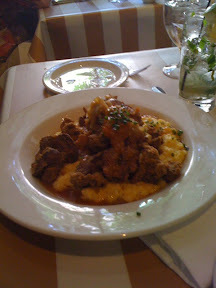 shrimp and grits , livers and grits, the shank - I wouldnt know what to pick - looks like fun! I have always wanted to go to Charleston. It looks so beautiful and historic. Looks like you had a great day! 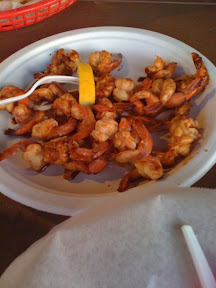 Gorgeous seafood!! Drooling here! So glad you had a great time! Like the idea of the little bowls of fruit too. That's where we were this past week! I had She crab soup for the first time and it was amazing! What a lovely getaway! 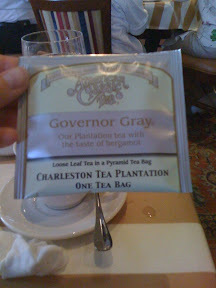 We loved our visit to Charleston as well and I remember that we brought back some of that tea back home! Love the site redesign! I'm a little behind on blog reading. What a neat place! Have fun! What a wonderful place to be! 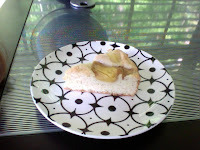 I've always heard about SC, the company, the food and for me the quilting has a great reputation. Happy you had a great time. 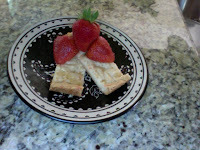 3 hungry tummies come on over and visit we can take u! Ruth oh its your kind of town! 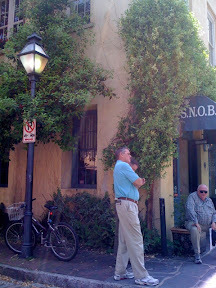 I love Charleston and all the surrounding areas. 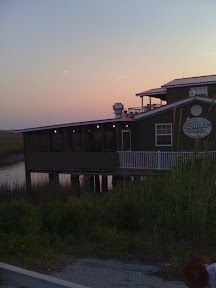 We stayed in Folly Beach last summer and had a fabulous time! I have always wanted to go there! 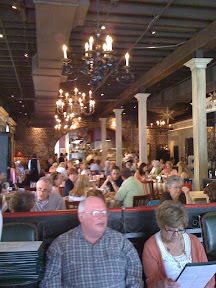 The food looks fantastic and sounds like you had a brilliant time! What a great trip! 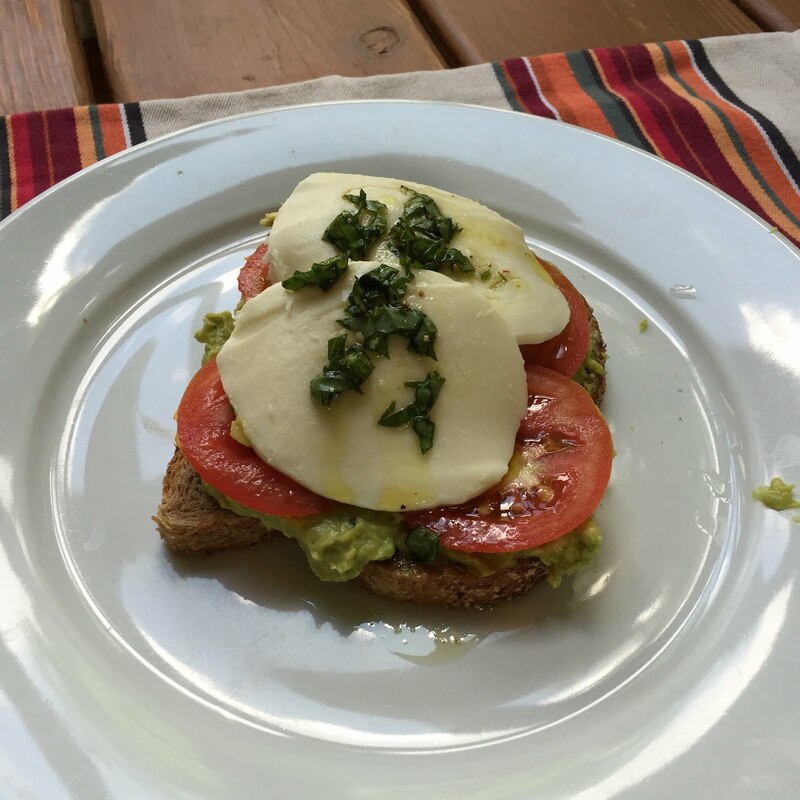 The food looks really good, glad I ate breakfast already! Jasmine is going to be quite the food enthusiast!